Seeing “free” Western media with headlines like “Rockets raining over Israel”, or describing the success of Israel’s Iron Dome defence system in intercepting missiles from Gaza, you would assume there was a war between equals – or even that “poor Israel” was under attack. Many Western readers won’t know that all of the 100-plus killed since Tuesday – and practically all of the 700 injured – are Palestinians, many of them children. Officially, White House spokesman Josh Earnest offered unqualified US support for “Israel’s right to defend itself against these vicious attacks”. Yet when that White House statement was issued on Tuesday, not one single Israeli had been hurt. Meanwhile, more than 30 Palestinians, including a whole family, were already dead – killed by an Israeli army equipped with America’s best technology. 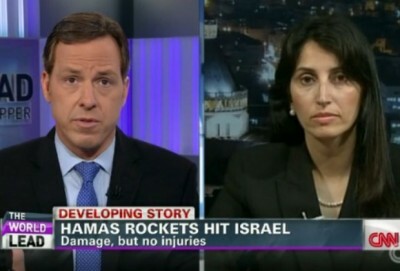 Harmless and aimless rockets fired from Gaza are the Palestinians’ only way to fight back. In addition to Israel’s recent aggression, Gaza has been under a military blockade for more than seven years, which alone is an act of war. Enjoying freedom of movement and peace are basic rights of all people, but if Palestinians can’t enjoy that right then neither should the Israelis. After the disappearance of three illegal Israeli settlers in an area under complete Israeli military occupation in Hebron, Israel blamed Hamas for their deaths without providing any evidence. On June 30, following a government emergency security meeting, Israel’s deputy defence minister Danny Danon spelt out a plan to “eradicate Hamas”. “We will not stop until Hamas is completely destroyed,” he said. Immediately following that meeting, Israel positioned additional troops at the Gaza border and started its assault, purportedly to avenge the three illegal settlers. At an earlier meeting, he assured members of the Knesset foreign affairs and defence committee that “ceasefire right now… is not even on the agenda”. But blaming Hamas for the disappearance of the illegal settlers is simply a red herring. Israel appears to have “planned” a war to divert international attention from the fact that it was to blame for a failure of futile peace talks and to undermine the newly formed Palestinian unity government. As Israel continues killing with impunity, Arab governments pay lip service and offer worthless condemnations. Egypt continues to close its border with Gaza, making Hosni Mubarak blush in his hospital bed. The Palestinian Authority makes hollow efforts at the UN when it should be joining “real” UN organisations to hold Israel accountable for current war crimes. Meanwhile, Palestinian children in Gaza are murdered as the Western world indulges in sincere ignorance and Arab people wallow in conscious apathy. Jamal Kanj (www.jamalkanj.com) writes weekly newspaper column and publishes on several websites on Arab world issues. He is the author of “Children of Catastrophe,” Journey from a Palestinian Refugee Camp to America. A version of this article was first published by the Gulf Daily News newspaper.